Personify was commissioned by Busselton Civil Pty Ltd to redesign and group the many divisions that make up the BCP Group. Our recent projects had attracted the company’s owner who was looking for a standout and professional design for the large South West company. We were also hired for the photography element of the new website to supplement the existing bank of company images. 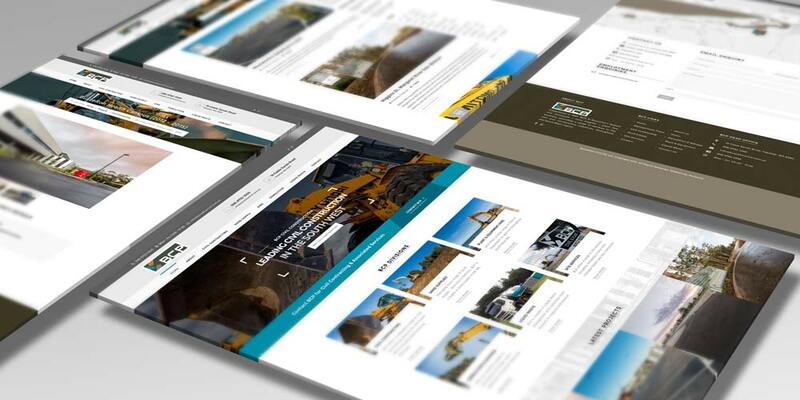 Tasks included working alongside current operations to give website visitors a feel for the BCP Group operations and projects. A number of the company’s recent worksites and developments were visited at key moments in the day to take advantage of the best light. 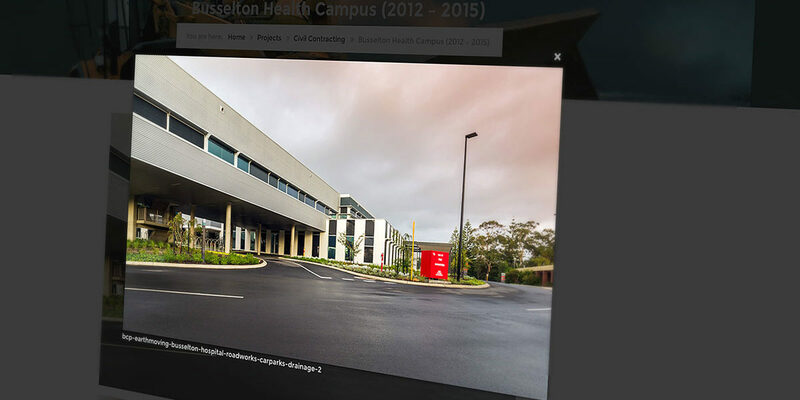 Some of the projects included the recently completed Busselton Health Campus and Woolworths Dalyellup development on behalf of BGC. Personify also conducted corporate headshots for use on the website. The outcome has put BCP at the forefront of web promotion in the South West of WA resulting in many enquiries from BCP’s competitors. You can view the BCP Group website here.